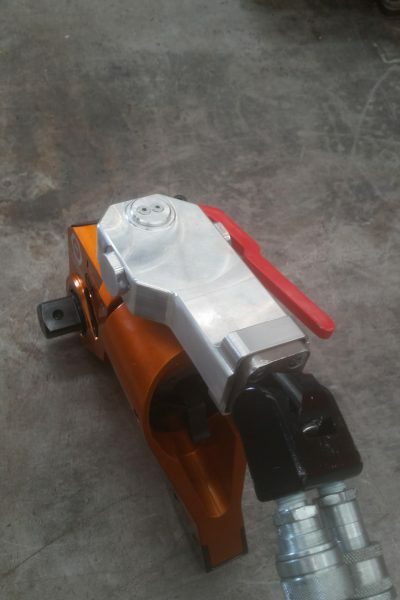 Torque Safe is a safety switch which has been designed for hydraulic torque wrenches. 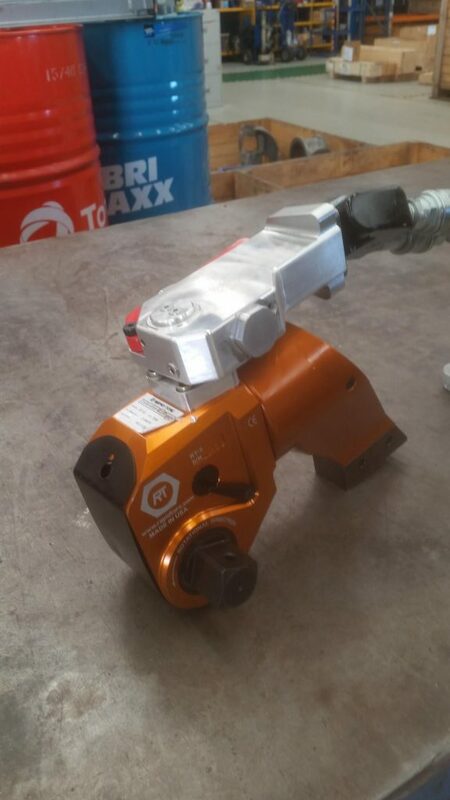 This provides a safety feature for the technician handling the hydraulic torque head positioning for use. This safety feature has been designed for the handling technician, preventing potential hand crushing injuries. 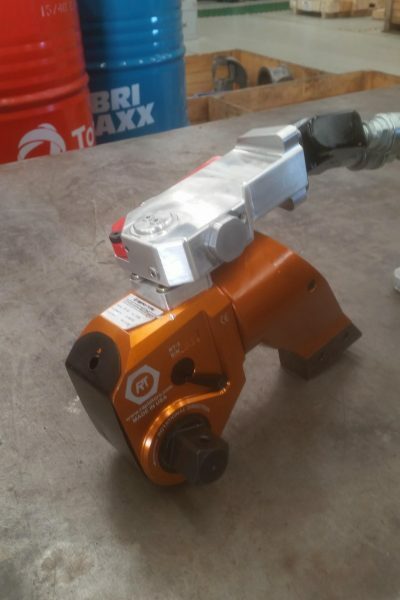 Using a hydraulic torque wrench often requires 2 operators due to positioning of bolts, weight of the hydraulic torque head and sockets. 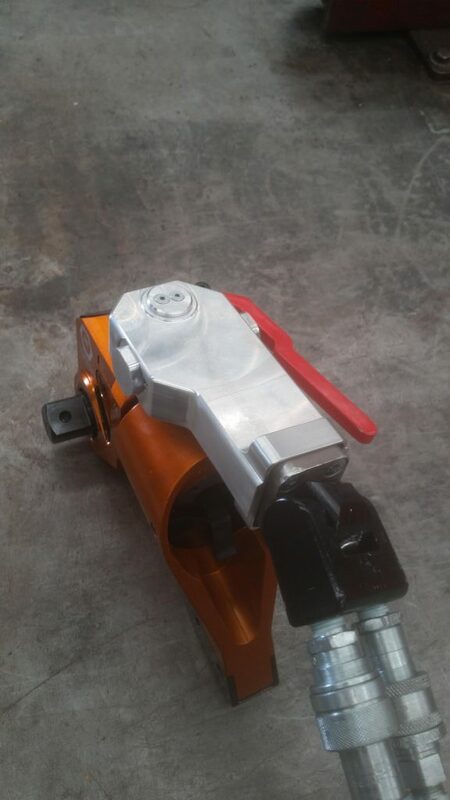 One operator controls the on/off switch and the other operator positions the hydraulic torque head. Depending on the maintenance or break down task there are often multiple jobs performed in the same areas. When performing these tasks the working environment can be harsh due to noisy, repetitive and slow conditions. These factors have caused distractions and break downs in communication between both operators performing the task resulting in severe injuries. 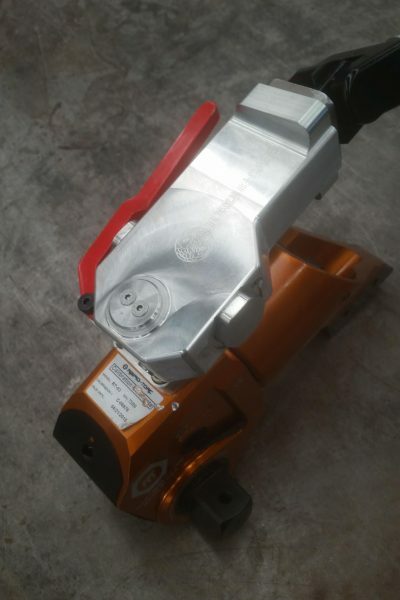 Installation of Torque Safe is as simple as providing us with your hydraulic torque wrench. We have trained and specialised technicians to install, test and commission your tool in a modern fully equipped hydraulic testing facility. Torque Safe has been designed using the latest technology and manufactured with the latest precision machining available. 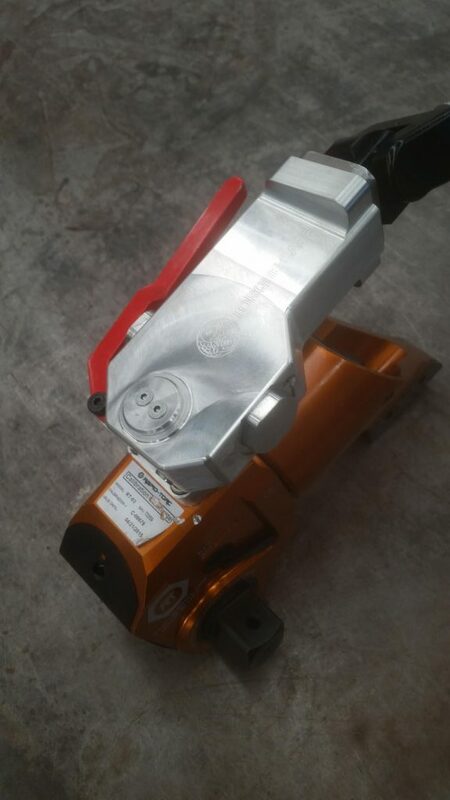 The safety valve is positioned on the hydraulic torque head replacing the existing swivel joint where the hydraulic hoses connect. The valve is handle operated moving an internal spool assembly. With the normal operation (handle released) oil will pass through the valve. 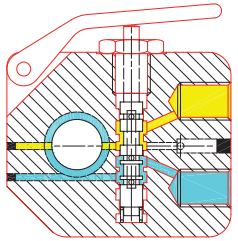 On the above diagram the blue indicates the oil passing through the valve activating the hydraulic torque head. The yellow in the diagram indicates the return oil passing back through the safety valve ‘Torque Safe’. ‘Torque Safe’ now enables the operator positioning the hydraulic torque head who is at risk, full control of the tooling. 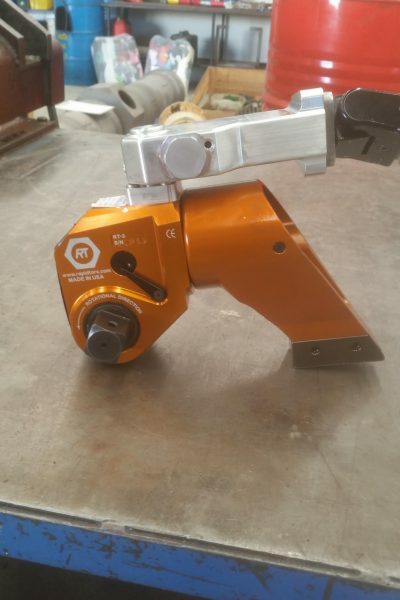 With the handle depressed this eliminates any unintentional movement by the second operator who has control of activating the hydraulic torque wrench. In result ‘Torque Safe’ will eliminate any hand crushing incidents. 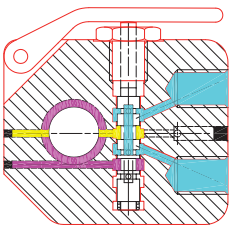 This valve has been designed to not affect the operations of the Torque settings. 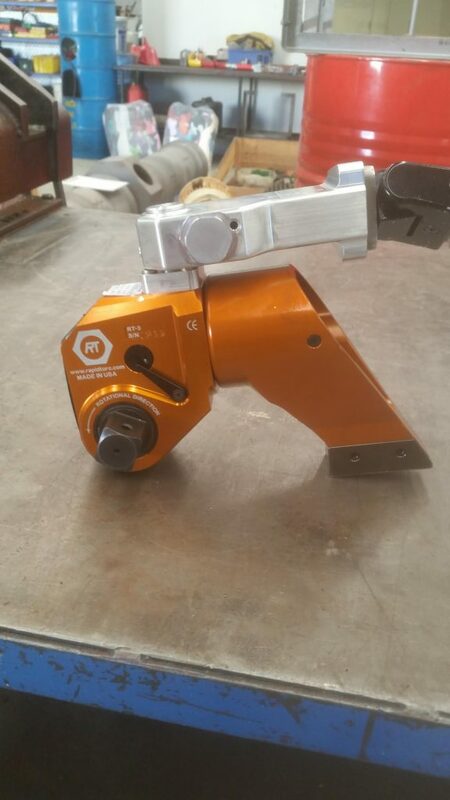 The safety switch has been designed to be retrofit to all hydraulic torque wrench models and other brands of this tooling available.